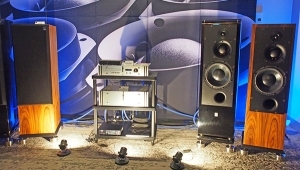 The speaker has two woofers, one on the front, the other on the back, as well as a 5" midrange unit and AMT tweeter mounted close together at the top of the enclosure. Significantly, the Eikon system uses wavelet-based analysis to optimize its performance in the owner's room. Two measurements are taken for each speaker, the results analyzed in the cloud, then the appropriate correction filter coefficients are downloaded to the control unit's DSP engine. I consider the Eikon approach a portent of what will become standard in speaker system design in the next decade. With the source an Aurender N10 server, I listened to a piece for violin and piano, then Leonard Cohen's "Alexandra Leaving," and on both tracks, the Eikon system sounded clean with superb stereo imaging, and tight, extended low frequenciesthis despite a non-friendly room acoustic. All Loudspeakers should be Active and include Microphones to correct Room & hearing defects ( like mine ). I bought a pair of Meridian DSP5500's many years ago. And while they sound great. I think they are just better for HomeTheater than for 2 channel audio. 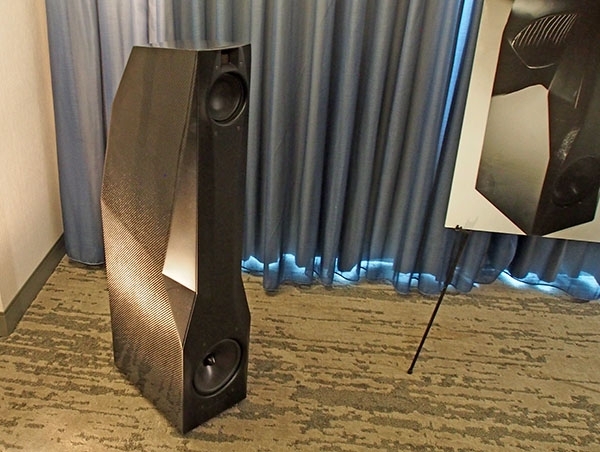 I think DSP speakers simply process things and end up being just a tad too "artificial". Obviously it depends on what you're comparing to with non-DSP speakers, but when you get a great pair of speakers matched up to electronics, cables and a properly treated room, there's no contest. Room correction software is never going to replace good room with proper room treatment/dimensions, it's a bandaid approach at best. Just my observation having owned a pair of DSP controlled speakers for about 20+ years. Some people love them, but I can understand why some would prefer a really great non-DSP system instead. and control issues. And active listening. With CBT therapy. The future of psycho acoustics.